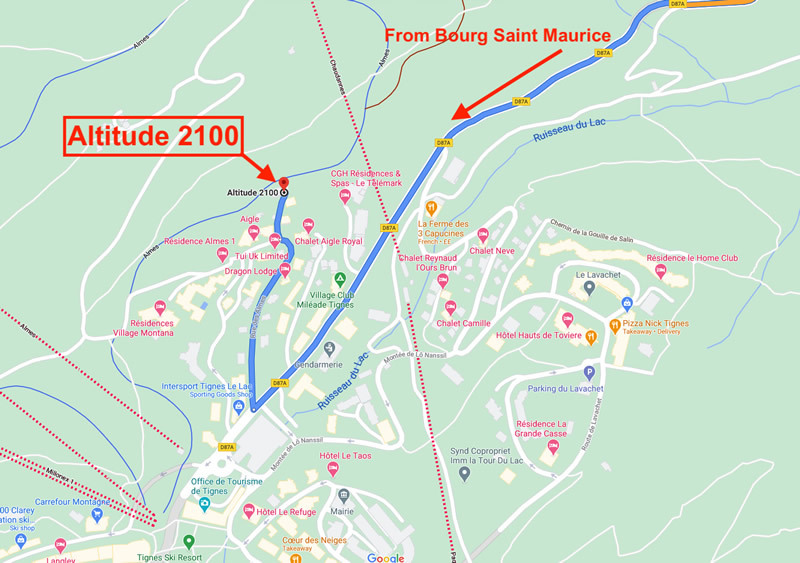 The Altitude 2100 building is located right next to the piste so it's the ultimate ski-in ski-out location. 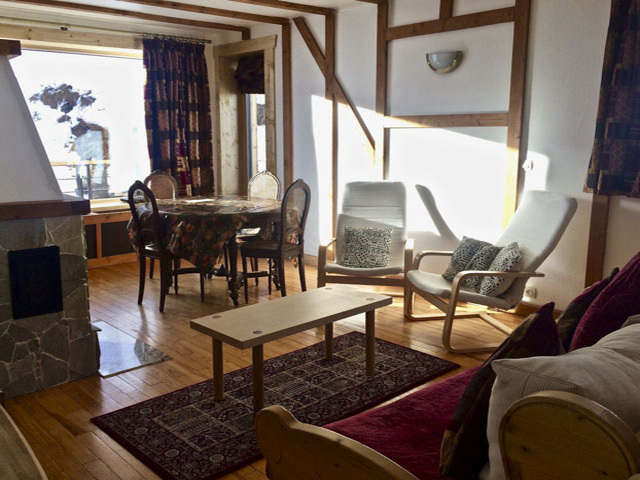 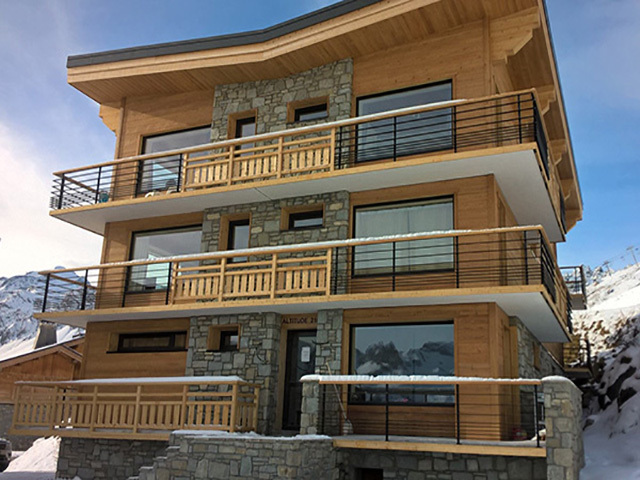 Situated on the Bluets piste, this apartment is a short ski down to the Chaudannes & Paquis chair lifts which between them take you to all parts of the resort. 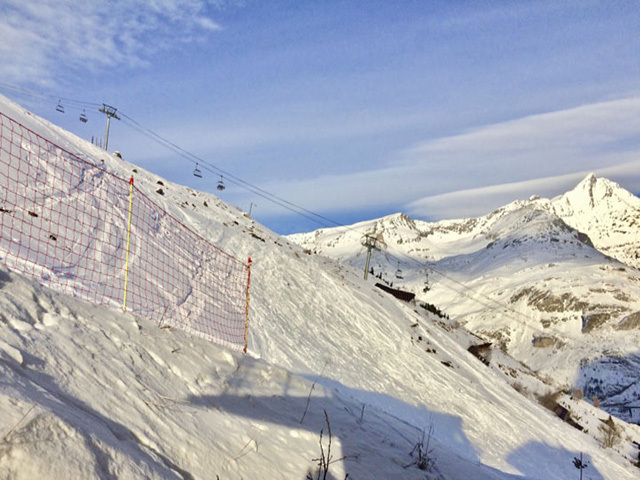 The apartment has views of the Grand Motte, Palafour and Chaudannes lifts, helpful for deciding which way to head in the morning. 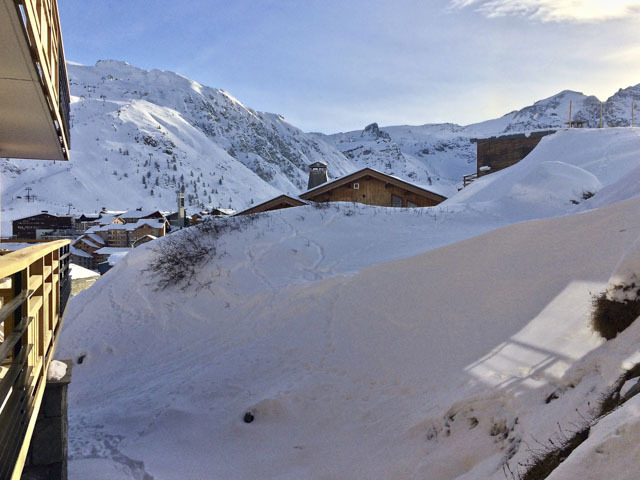 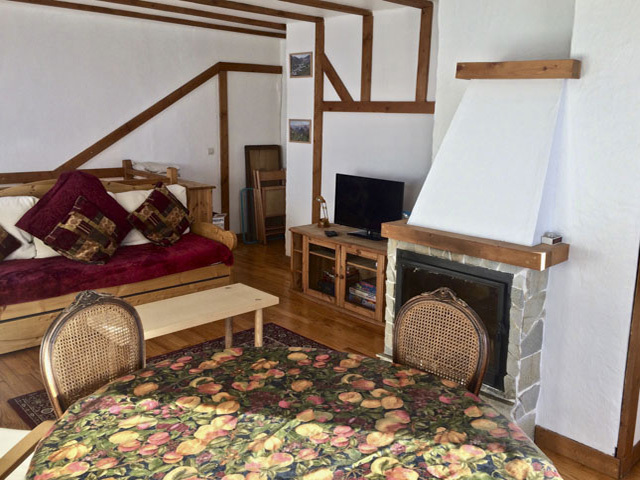 The location is in the upper part of the Les Almes area in Tignes le lac and is just a few minutes walk from the supermarkets, shops, bars and restaurants. 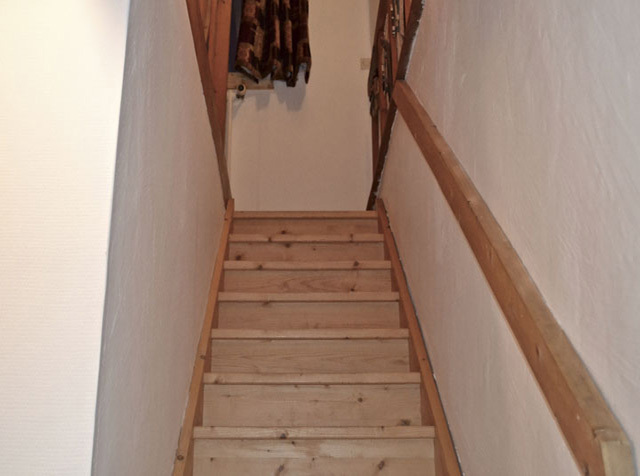 Apartment 10 is located on the ground floor of the building, but it is spread over two levels. 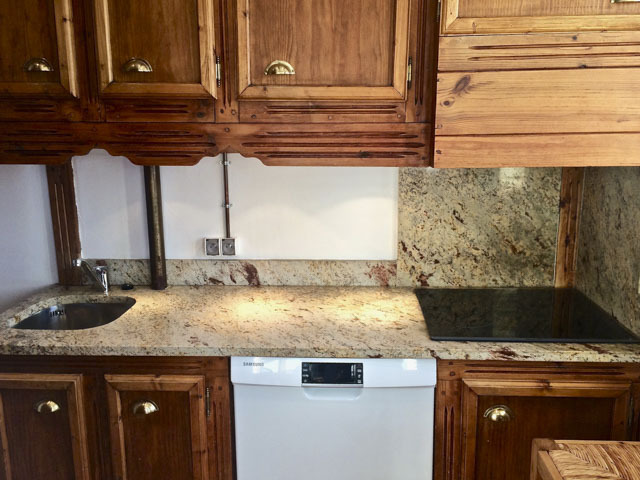 As you enter the apartment you have two bedrooms on the ground floor, a double and a twin room, as well as the bathroom and the first of two toilets. 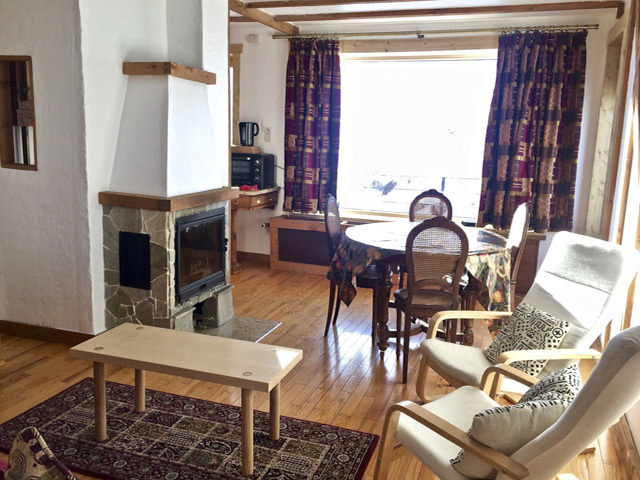 An internal staircase leads from the 2 bedrooms, bathroom with Jacuzzi bath and shower & separate toilet on the ground floor, up to a spacious living area with South West balcony, lovely and sunny when you come home after a day's skiing. 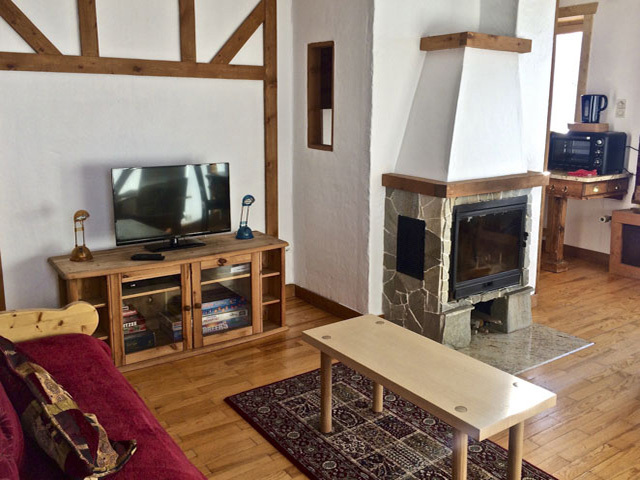 The upstairs is bright and open plan, with sitting area, round table to seat up to 8 people, kitchen and separate toilet. 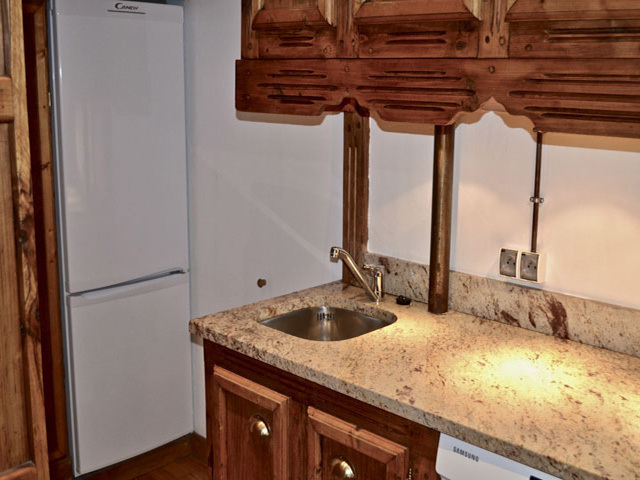 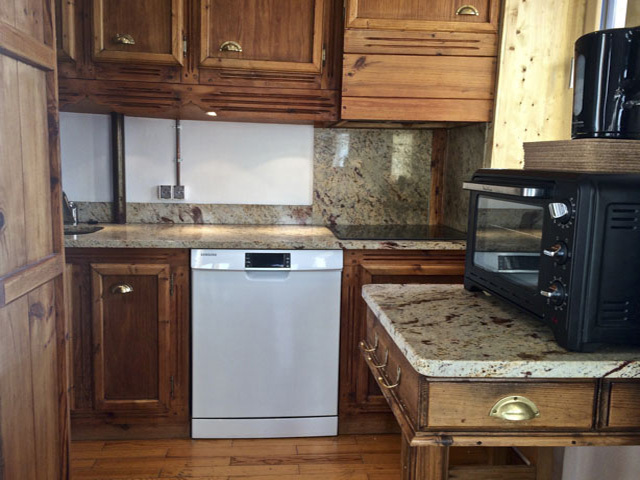 The kitchen is well equipped with a 4 ring gas hob, electric grill, microwave, fridge/freezer, dishwasher, kettle and plenty of crockery, cutlery and utensils. 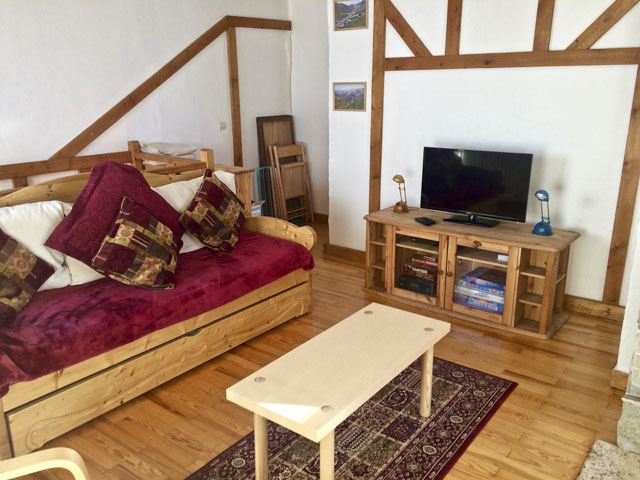 The large living area has a flat screen TV, DVD player and a sofa which converts into a single bed and has a further roll out bed underneath. 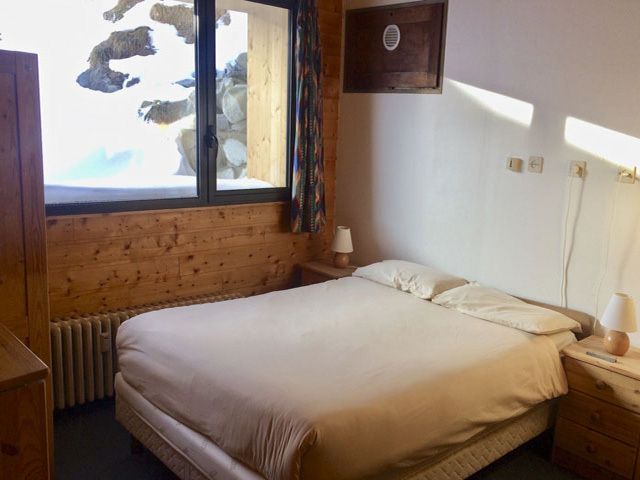 The main bedroom has a double bed with two wardrobes and a chest of drawers for storage. 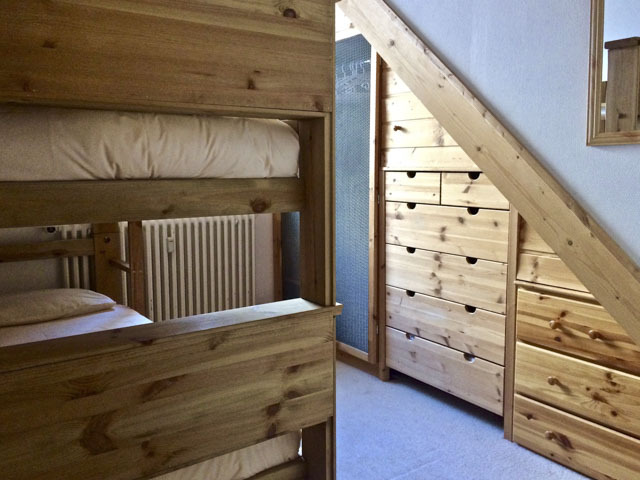 The second bedroom has bunk beds with a roll out bed underneath (which can be put into the main bedroom if extra accommodation is needed) and plenty of storage space. 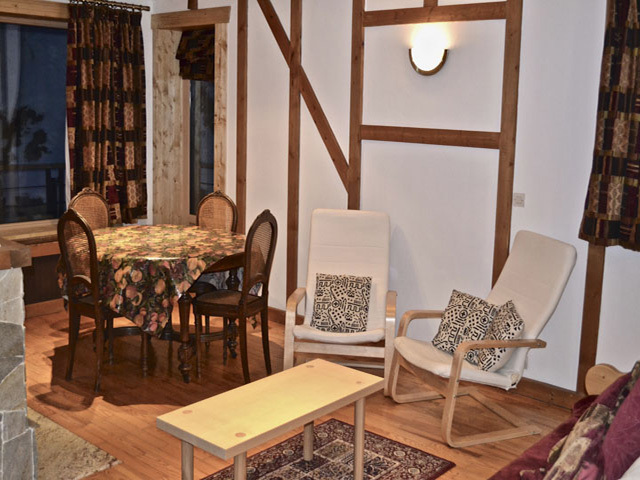 In total there are beds for 5 people with additional sleeping for 2 people in the living area if required. 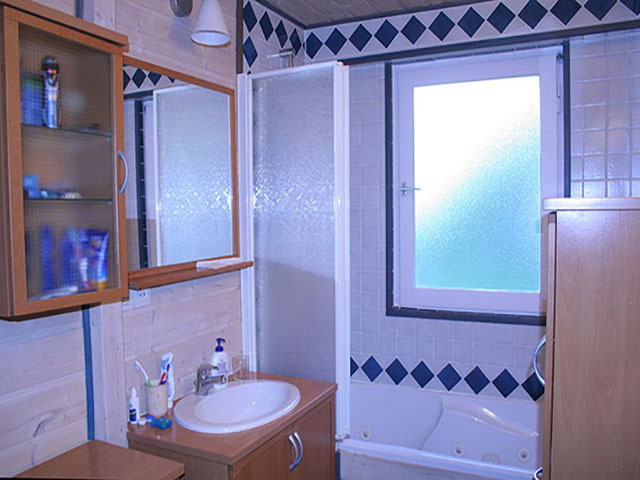 The bathroom has a Jacuzzi bath and there are also a few storage cupboards in this room, as well as a slim line top loading washing machine. 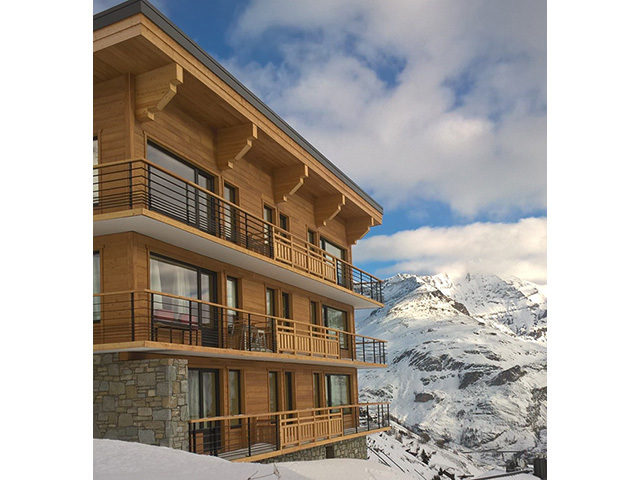 The apartment benefits from 2 ski lockers so plenty of room to store your equipment. 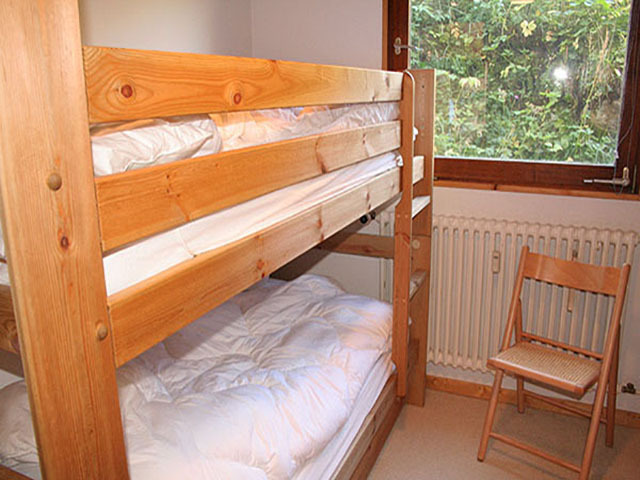 Please note the top bunk bed is not suitable for children under 6 years old. 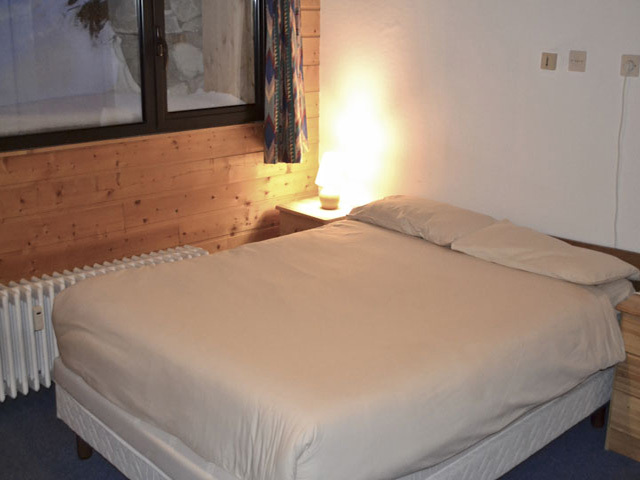 Bed linen is included with the apartment and towels are available to hire from us. 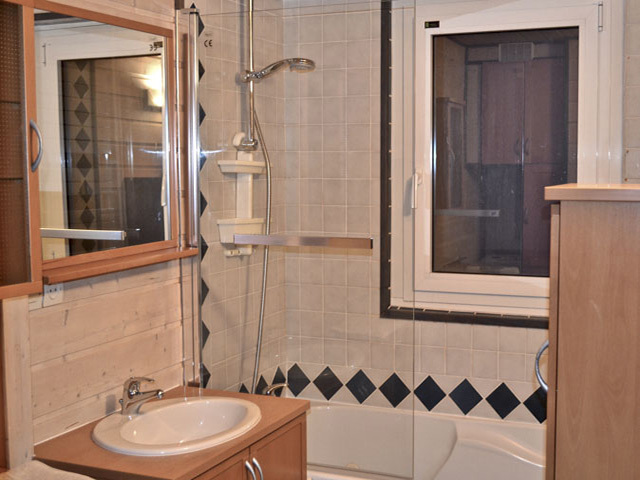 Please note: NOT suitable for Noisy Guests.